Killer Bunnies and the Quest for the Magic Carrot: Perfectly Pink Booster Deck is an expansion, not a stand-alone game. You'll shout Anchors Aweigh when you see our Enlisted Rank cards. 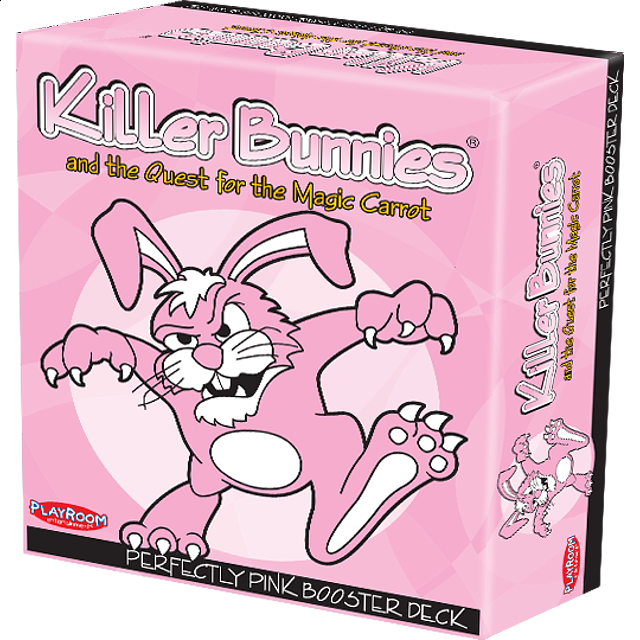 The Killer Bunnies and the Quest for the Magic Carrot Perfectly Pink Booster Deck adds 55 cards to your existing set, a Highest Enlisted Rank card, a Pink Pawn, and a Pink twelve-sided die! Use Day Old Bread to delay the feeding of your bunny or a Transcendental Run to play any card as a Very Special. Be the highest Enlisted ranked bunny in The Bunny Circle and play an extra card each turn. Push your card stack to the brink, and get in sync with theest Booster Deck, Perfectly Pink.